Today, a photo from the Whitsunday Islands in Australia. This is me as a turtle. 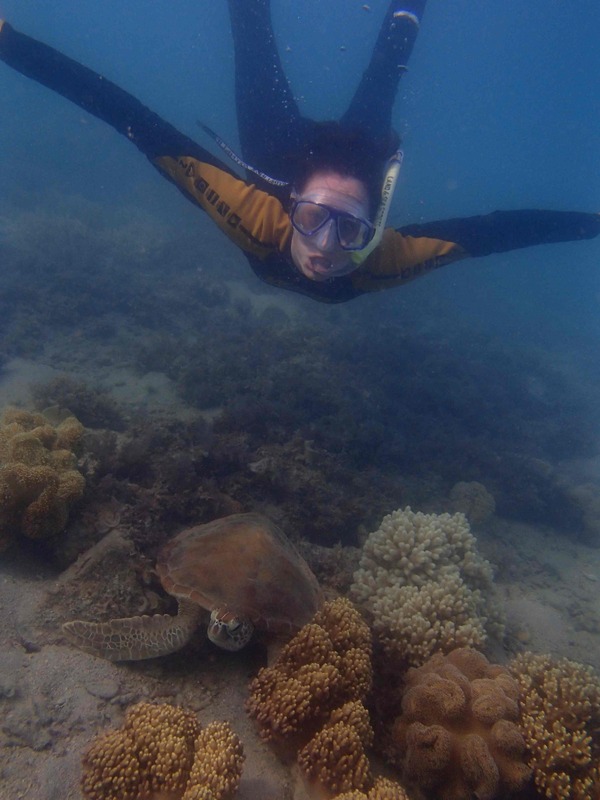 And below me is a real turtle all jellied out (turtles get a little stoned on all the yummy jellyfish).